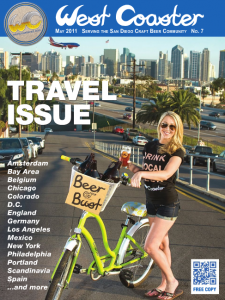 The May issue of West Coaster is out now, it’s all about travel and mostly beer from places other than San Diego. 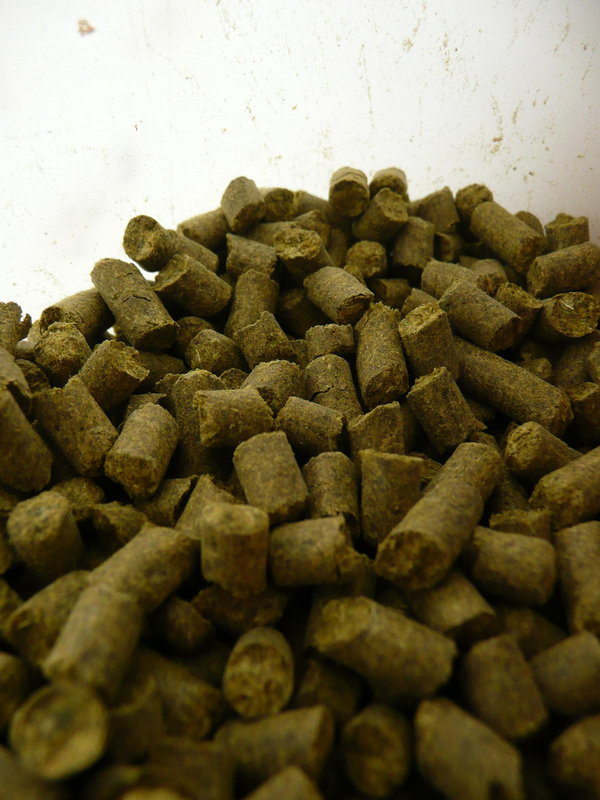 There are stories about beer in LA and the Central Coast as well as snippets about tons of other cities and countries throughout the world. I wrote articles about the breweries of the Front Range in Colorado (Denver, Boulder, Fort Collins) and wrote about cycling down the coast here in San Diego with stops at the three San Diego County Pizza Port locations. It’s a great ride, one I’ll be doing again soon. Pick up a copy at at breweries and better beer bars and bottle shops (distribution list here) or read it online. 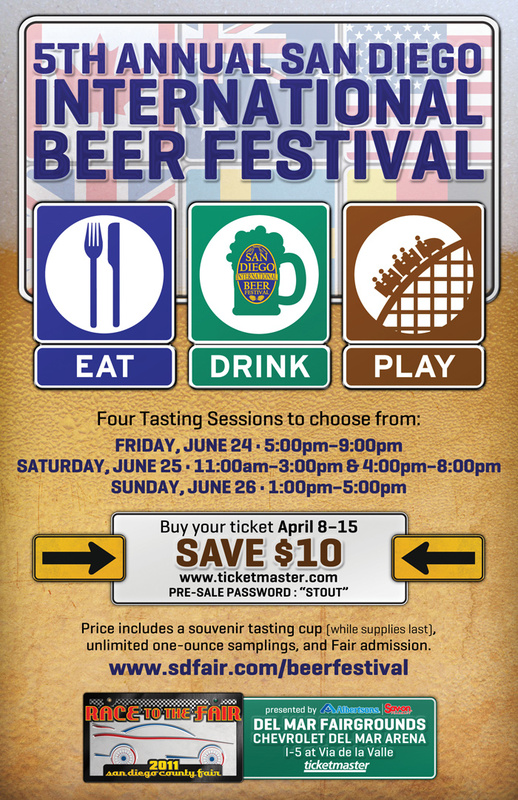 The 5th Annual San Diego International Beer Festival takes place at the San Diego County Fair over four sessions Friday June 24th – Sunday June 26th. Each four hour session includes a souvenir tasting cup (white supplies last, no word on how many they’ll have) and unlimited one ounce beer samples. Admission to the festival is $45 per session, which also includes admission to the rest of the San Diego County Fair for the day (I recommend going on the Kamikaze before partaking in unlimited beer samples). The festival also hosts both an amateur and professional competition. 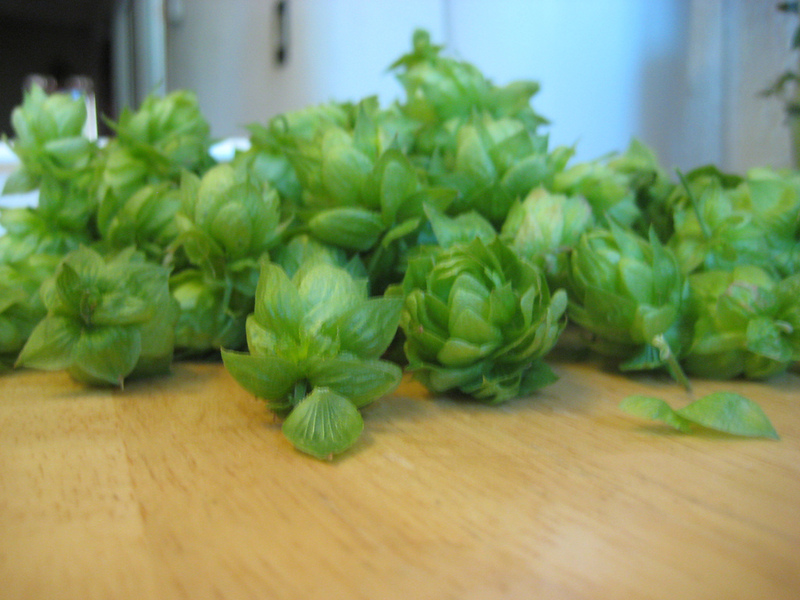 The BJCP/AHA-Sanctioned homebrew competition takes place on July 3rd, after the festival itself. Entry information is here and the deadline for registration is May 18th. The judging for the professional competition will take place in May, with the results announced at 12:30pm on Saturday June 25th during the second session of the festival (the first Saturday session). Last year Pizza Port Solana Beach won Best in Show for their Big Wednesday Belgian IPA. This was the second year in a row that Pizza Port took top honors, let’s see if they can continue the streak this year. Click here for more info on the San Diego International Beer Festival and here for more info on the San Diego County Fair in general. Disclaimer: The San Diego County Fair has offered me complimentary passes to the fair.